Alta Vista de Boracay's location stands out as one of the island's premier, exclusive spots. It is located in the north end of the island and stands high on a hill, providing a fantastic view of the surrounding seas and fairways. It is a few minutes away from the popular White Beach in the west, and just a stone's throw away from the tranquil shores of Puka Shell Beach up north. Inspired by the finest Southeast Asian architecture, Alta Vista de Boracay truly reflects the island's tropical charm and character. It takes advantage of the hilltop location by providing each unit with a floor-to-ceiling window that opens up to a spacious balcony, allowing guests to enjoy the panoramic view of the island, refreshing sea breeze, and entry of ambient light. You'll always have a place to come home to whenever you're in Boracay. You can avoid the hassles of booking a hotel, especially during the harried peak season because there's always room for you here. Spacious, warm, and inviting, the units of Alta Vista de Boracay are rest havens that provide greater room to relax. Alta Vista de Boracay comes complete with resort-hotel amenities, as well as recreational facilities. Here, units come fully-fitted and fully furnished. It has Plasma TVs, refrigerators, beddings, and other needs. At Alta Vista de Boracay, we go the extra mile to make your stay as memorable as possible, whether you're a guest at the condotel or a unit owner on vacation. 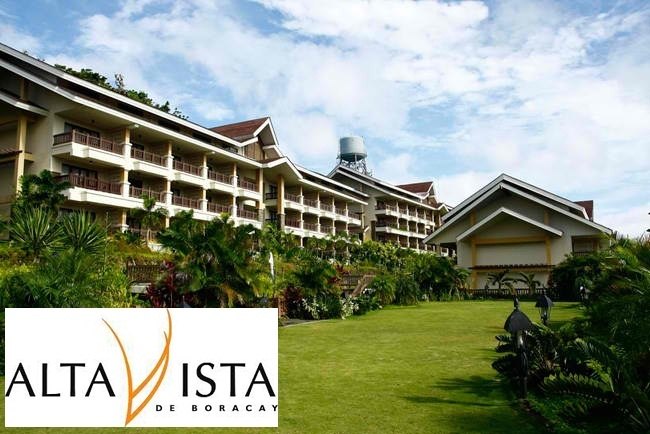 Alta Vista de Boracay offers a wide range of services and facilities at your leisure.